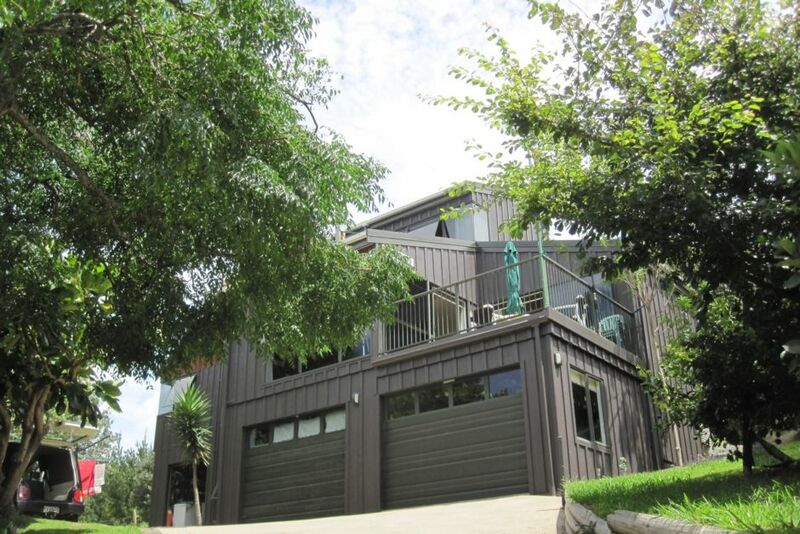 This well maintained property is designed with views and comfort in mind. There are two deck areas to follow the sun, bird life and if you are lucky, cows grazing in the paddock behind this property. Onemana has been a well kept secret and is about 7 minutes drive north of Whangamata. The beach offers fishing, swimming surfing, boogie boarding and walks, exploring the coast line. Bush walks around the reserve, feeding ducks in the pond or drive into Whangamata for the many cafes and a retail therapy fix. Smoking outside only, no parties or large gatherings. May not be suitable for elderly or toddlers due to access and being multi levelled. Small clean dogs permitted by prior approval only and must bring own bedding. For winter use, there is a cosy wood burner. This home is clean, fresh, well cared for and comfortable. There is off street parking for three cars. Extra large fridge in the wash house. Main bathroom has a seperate toilet area. Lovely well-equipped big property for the extended family. Great big house, lots of room, in good condition.